All necessary and reasonable safety measures and precautions have been taken. The site is in legal compliance with all safety standards and regulations. Everyone employed at the site has been adequately trained. The construction equipment is functioning properly. All too often, these assumptions are wrong. Thousands of construction workers are injured on the job each year. In fact, more workplace related deaths happen in construction than in any other sector of the U.S. economy: 796 in 2013. And often, when seriously injured construction accident victims realize the full extent of their injuries, they realize workers’ compensation may be insufficient. Medical expenses can pile up fast. If you’re a construction accident victim anywhere in Orange County, contact an experienced Orange County construction accident attorney Chris Purcell at Purcell Law in Irvine and Santa Ana immediately. Construction workers may think that workers’ compensation is the only type of compensation they are entitled to after a construction site accident, but that is not always the case. If a third party was responsible for your accident, you may be eligible to receive compensation beyond workers’ comp. To discuss your options, contact attorney Chris Purcell for a free legal consultation. WHEN CAN LAWYERS HOLD THIRD PARTIES ACCOUNTABLE FOR CONSTRUCTION ACCIDENTS? If someone other than your employer shares responsibility for your construction injury in Orange County, you may be able to file a third-party personal injury claim that could include contractors, property owners, equipment operators or manufacturers, or others with responsibility for your injury. For over two decades, Chris Purcell has advocated passionately on behalf of construction accident victims in Orange County. If you’re a construction worker who’s been hurt on the job, Chris gives your case his complete personal attention. During negotiations, he prepares each case as if it is going to trial. If you don’t receive the right settlement offer, Chris Purcell will take your case to trial and tell your story to a judge and jury. There are many different people and companies involved with the work on a construction site, so when something goes wrong, a number of different parties may be liable for their negligence. For example, a contractor or subcontractor of the construction site must keep the site safe and warn employees of any hazards on the property. If they fail to do so and an injury occurs as a result, they can be held liable. Prime contractors can also be held liable, but only for the project they were hired to manage, not for the safety of the entire construction site. When a defective or malfunctioning product or piece of equipment causes an accident, the manufacturer could be held liable. Owners of the land could be held liable if they did not inform anyone of the potential hazards on the site. In other accidents, the architects and engineers may also be held liable. For example, if the architects and engineers are contractually obligated to conduct inspections and ensure everything is up to code, but they fail to do so, they may be liable if an accident occurs as a result. WHAT DO LAW FIRMS RECOMMEND YOU DO IMMEDIATELY AFTER A CONSTRUCTION ACCIDENT? This is just a short list of third parties that could be held liable when you are injured in a construction accident. But, after an accident, don’t worry about who is liable and instead focus on getting medical attention. Keep all documentation related to your injuries. Then, report the injury to your supervisor. Make sure you know the name and phone number of the person you are reporting the injury to, and ask for a copy of the injury report as well. If anyone was on the construction site at the time of the accident, write down their names and contact information so you or your personal injury lawyer can get in touch with them later. Take photographs of the scene of the accident including your injuries, the equipment involved, and the actual construction site. Then, contact experienced attorney Chris Purcell to schedule a free legal consultation and discuss your legal options. Construction accident cases can be complex, so you will need an attorney who has prior experience with this type of case. Every construction company is required to carry workers’ compensation insurance in case one or more employee is injured while working on construction sites. However, when you suffer a serious injury, workers’ compensation may not be enough. That’s why it is essential that you contact Chris Purcell to determine whether any third parties can be held liable for your injuries so you can receive compensation outside of workers’ comp. 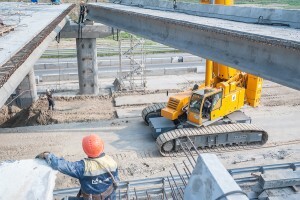 Construction accidents are often responsible for traumatic brain and spinal cord injuries, amputations, and other disabling conditions requiring lifelong care. With more than twenty years of experience helping injury victims, Orange County construction accident lawyer Chris Purcell understands the fears and anxieties you face. He is committed to helping you get your life fully back on track after a construction accident injury. Chris represents clients throughout Orange County including Irvine, Santa Ana, Anaheim, and Fullerton. He has experience representing clients in cases involving motorcycle accidents, construction accidents, dog bites, pedestrian accidents, truck accidents, bicycle accidents, slip and fall accidents, product liability, and premises liability. All personal injury claims are handled on a contingency fee basis, so you pay nothing unless and until Purcell Law recovers compensation for you. To schedule a free consultation, call 714-884-3006 or contact Chris by email today.